Both Sammie and I aren’t milk drinkers. We typically enjoyed soy or almond milk in our cereal, tea and coffee. Then I found we preferred the lighter taste of almond milk. But, we recently had the chance to try Silk Cashewmilk. 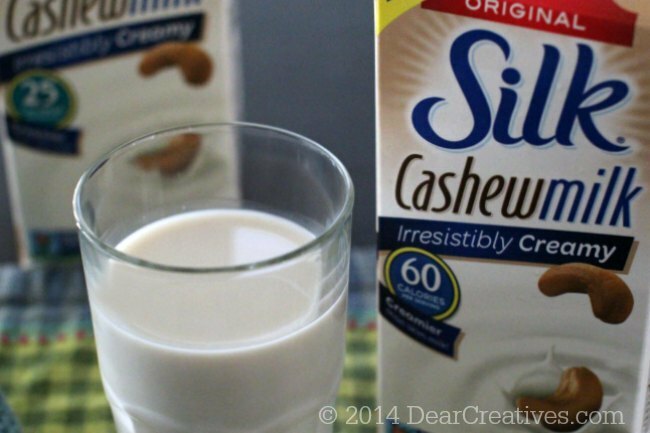 Today I’m sharing my favorite ways to enjoy it and what we liked about Silk’s Cashewmilk. I do use dairy in my recipes but, occasionally I do substitute. I found out that Silk has a Pinterest board with recipes and ideas. I know I’ll have to adapt at least a few of my favorites. I shared the link at the bottom of the post for your reference too. Silk’s Cashewmilk is irresistibly creamy and delicious. Made with the special creaminess of cashews. It is an excellent source of calcium and vitamin D. Honestly, it tastes creamier than skim milk. You store and use it just like any other milk. Bonus way less calories! We enjoy it as a drink by itself. One of my favorite drinks is a – – – – – Can you guess? In a Latte of course! In the morning I love having a coffee drink but, I also love a good latte. Now don’t leave me if you don’t have an espresso machine because you can make an Au Lait! ​Steam a little Silk Cashewmilk on your stove slowly just to warm it up on moderate heat, stirring until warm. Then pour over your coffee. 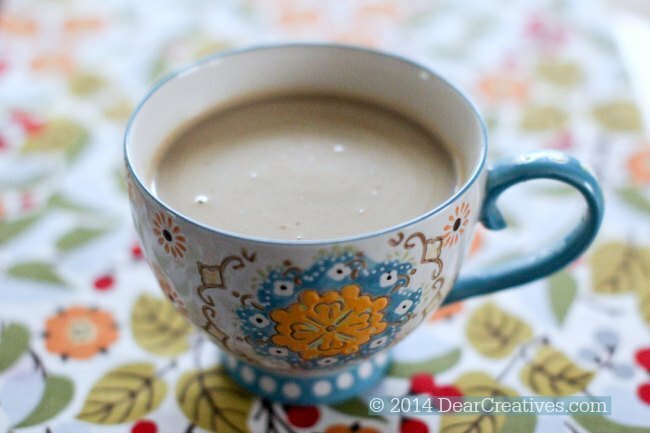 It should be 2/3 cup Silk Cashewmilk to 1/3 cup coffee! So,easy! Silk Cashewmilk has two low calorie options. Woot! Made with cashews it’s free of dairy, lactose, gluten free…….Hello health nuts! It also has no artificial flavors or colors! What’s not to love about that! Bam! This conversation is sponsored by Silk. The 100% honest opinions, images and text are all mine. 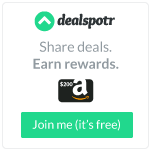 Be sure to sign up for the newsletter to grab a coupon to try it yourself! 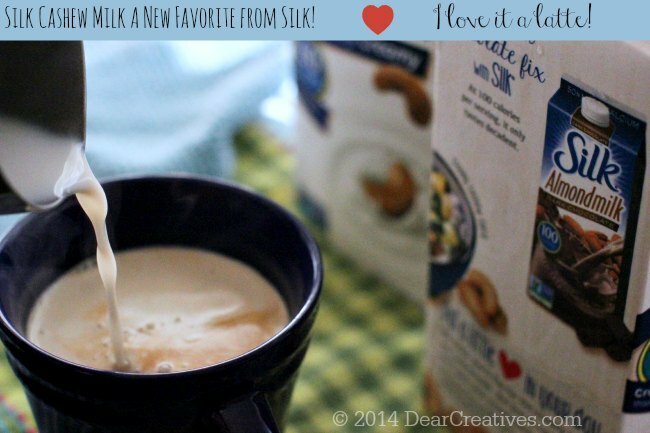 Tweet us #SilkCashew @LoveMySilk @DearCreatives and let us know if you have tried Silk Cashew Milk and how you liked it! Have you tried the new Silk Cashew Milk?